Alright. I was gonna do it. Yes I was. 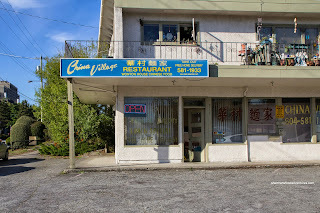 That creepy, 60's-looking Chinese joint out on King George... I was going all in. Heck, the place doesn't even look open most of the time, resembling the Bates Motel. Well, I was about to find out whether I was coming out alive or not. Heading home after a meeting, I decided the best course of action was take-out, specifically the Dinner for 4 with a few additions. 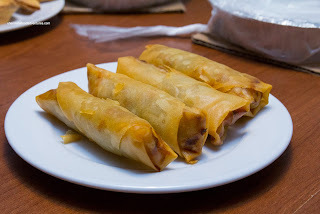 With just a touch of grease, the Spring Rolls were crispy and lightly packed with celery, cabbage and carrots. Hence, they were not dense and easy to eat. These remained crunchy despite the travel time between the restaurant and home. 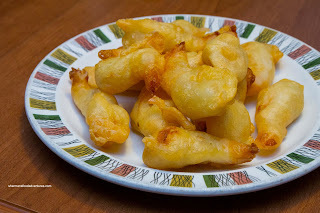 Next I gave the Fried Prawns (like the use of the retro dish?) a go and most of them were still crispy despite sitting in a box. I'm not sure putting lemon wedges on top was a good idea as those prawns got soggy. I thought the batter was a touch too thick and doughy on some pieces. The prawns were meaty and slightly overdone. 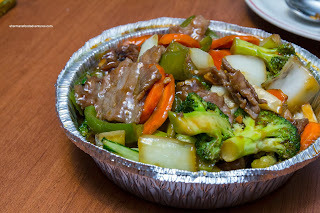 Onto the Chop Suey, it consisted of sliced beef, bak choy, broccoli, carrots, cauliflower and surprising green peppers (a bit strong in terms of veggies which takes over the flavour of the dish). All of the veggies were still somewhat firm and not overcooked, but as mentioned, the flavour of the green peppers overwhelmed. The beef was tender but not that moist being a bit dry. On the note, the Orange Chicken was really dry as the white meat was not brined or tenderized. Furthermore, the abundance of sauce drowned everything. It did taste like orange though with a slight bit of spice. 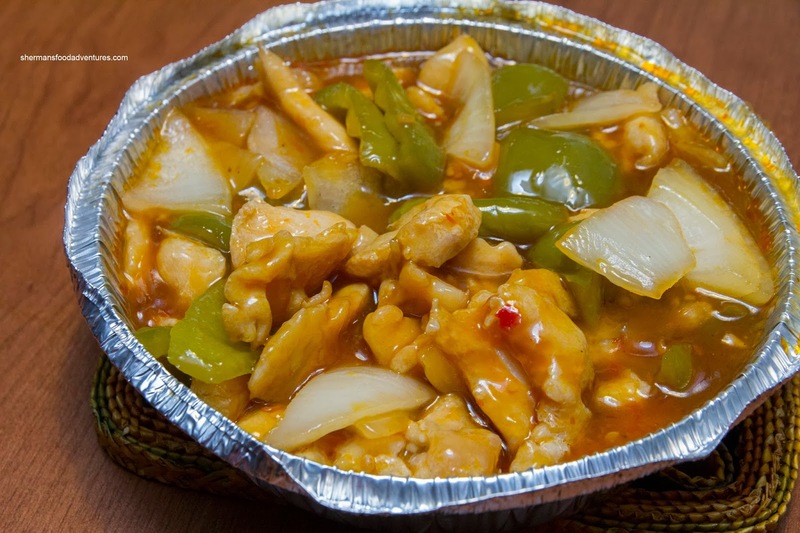 The Sweet & Sour Pork consisted purely of meat with plenty of starch-thickened sauce. 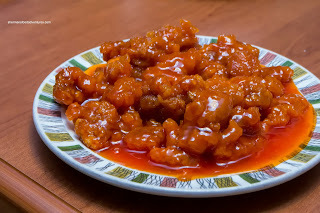 I found it to be more sweet than sour. Moreover, there was far too much sauce as it made everything soggy. The meat itself was a touch dry which would be an indication of re-frying. With an even more amount of sauce, the Fish & Tofu Hot Pot was a bit weird tasting. The tofu was somewhat sour which I couldn't really put my finger on it. The sauce itself was predominantly flavoured with onions as there was lots of it. 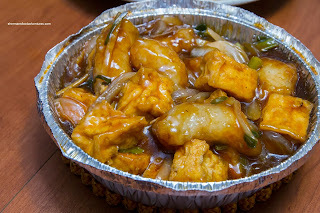 As for the fried fish, the starch batter was quite gummy and soggy from the plethora of sauce. 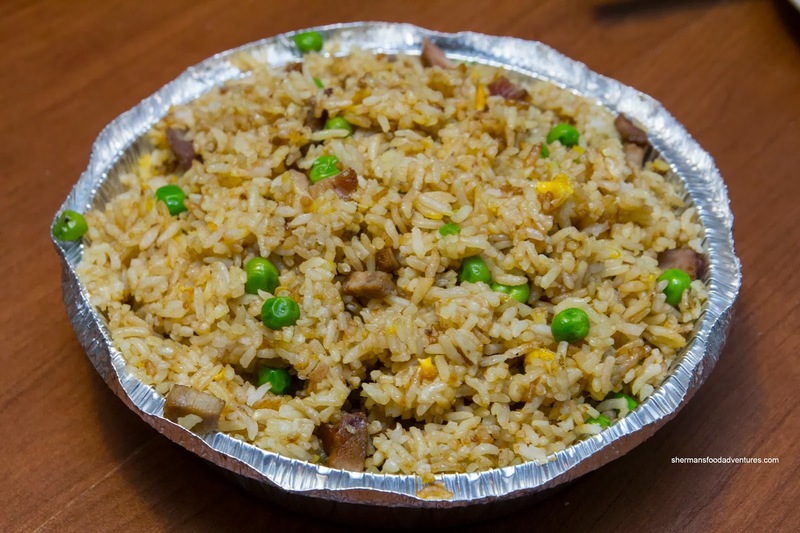 We found the BBQ Pork Fried Rice dry and chewy (which was a good thing). It wasn't too greasy and had a decent amount of lean pork and peas. It was mildly flavoured which complimented the other dishes. 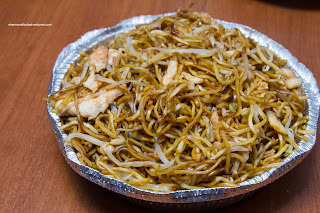 As for the Chicken Chow Mein, it was a touch dry but was okay. It probably needed a bit more seasoning, yet again, complimented the more strong flavoured dishes. Overall, we thought the food was underwhelming despite being a decent value. There are much better choices for North American Chinese food in Whalley, in particular Top Kings.